When trying to solve any problem it’s important to know what’s causing the problem. “I’ve got too many flies” is not the problem, where those flies are coming from is. This is not hard but it’s a crucial first step if you are preventing flies with Fly Predators or better sanitation. An ounce of prevention is worth a pound of cure and maybe more when it comes to fly control. The glowing praises about Real Fly Predators you’ve heard over the years is proof. Are They Your Flies or The Neighbor's? If you are at least 1/4 mile away from neighbors with animals then it’s very likely most of your flies are from your animals and you just need to add Fly Predators to your own fly breeding areas. If you have nearer neighbors or ones with lots of animals, then you’ll need to address those flies as well as your own. This calls for persuasion or traps and spray. First try persuading them to use Fly Predators and maybe pickup a bit so they won’t have many flies to send you. If that isn’t going to happen, then add the right type of traps to intercept the different adult flies heading your way. To make the rest that avoid the traps tolerable, use fly spray. The easiest way to identify the flies that bug you is where they are on your animals. The most common pest fly is the non-biting House Fly. These are “filth flies” as they feed and reproduce on most any rotting organic matter, manure, spoiled feed, garbage, decaying fruit and eyes, but they can be anywhere on your animals, but are mostly on the face going for the moisture in the eyes. Lure and capture these flies away from your barn with odor traps, but never put those in the barn. Inside the barn use non smelly sticky traps More on traps. 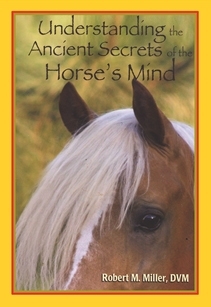 Read a special and complete online edition of Dr. Miller's ground breaking book, Understanding The Ancient Secrets of The Horse's Mind. 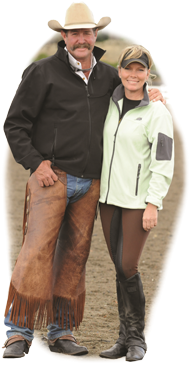 Dr. Miller explains why horses act the way they do and how to use that knowledge to improve your horsemanship. This book is marvelous. Every horse person at any level will find in it valuable nuggets of "horse sense". Click below to check out this great digital Flipbook!